It's an understatement these days to say that the weather is changing. J&J Studios has an easy way to measure that change with its compact Datum Weather module. If you want to keep your battery powered applications running well into the future, Better Embedded Engineering has your back. We just kicked off a campaign for what we think is the smallest thermal camera system ever made. You're welcome! 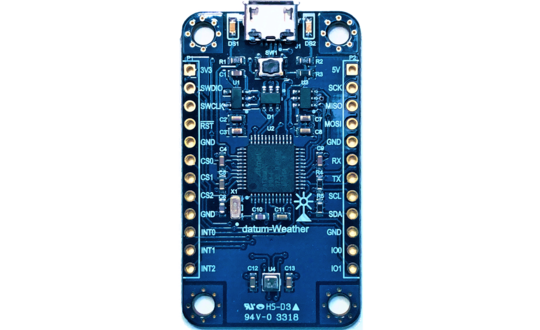 J&J Studios took the same Atmel SAMD MCU goodness from the Arduino Zero and coupled it with a crispy Bosch Sensortec BME280 Environmental Unit to create a compact module that simply outputs weather data in JSON over USB. The BME280 measures temperature, humidity, atmospheric pressure, and altitude. Whether standalone or part of a larger system, it's a handy device with a refreshing single focus. Want to hack it to make it do more? Yeah, J&J figured so it's also fully reprogrammable. This is a new GetSparked entry so your backing can help to find it a good home at SparkFun. Better Embedded Engineering made this tiny black box to free you from all of the scratch pad battery estimation calculations that get lost in the shuffle. 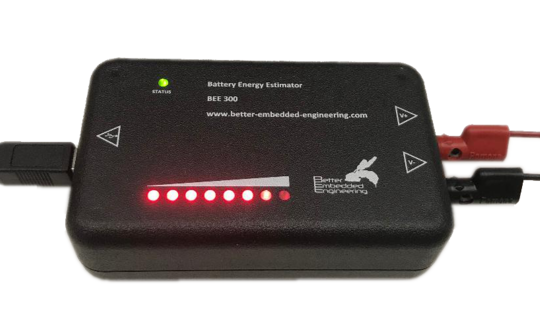 Another new GetSparked entry, the Battery Energy Estimator takes USB input power to provide a clean low voltage rail to your microelectronic devices, measures the current output, and estimates the battery life of the device based on standard battery types that you select in a GUI. It's a simple concept but only until you use it do you really start to appreciate how much time it can save you. Put a little more rigor into your embedded workflow with the BEE 300. 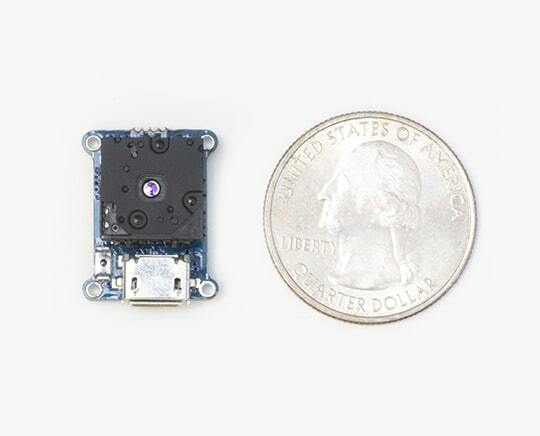 Hot off the design press at our very own GetLab design studio is what we think is the smallest thermal camera system ever made for the FLIR Lepton LWIR camera core. To do it, we took PureThermal 2 and cut out the fat to produce the PTmini. It's still the same hackable USB thermal webcam as previous PureThermals but designed for tighter embedded spaces. We coupled it with the best Lepton ever made in the radiometric 3.5 for this likely one-and-done campaign. 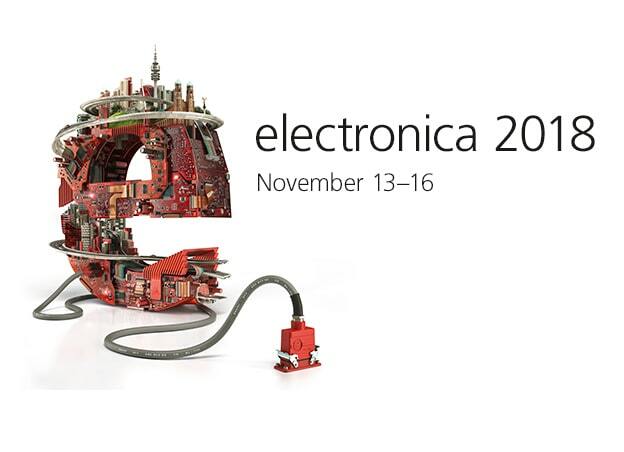 We're heading out to Electronica in Munich this weekend to catch up with some international friends, sharpen up on our German, and check out some new hardware. If you're there and want to talk about new GroupGet campaigns, our GetSparked collaboration with Sparkfun, and thermal cameras, we'd love to hear from you so hit us up on the Twitters and we can meet up. Congrats to OpenMV for closing a successful Kickstarter for their OpenMV Cam H7. 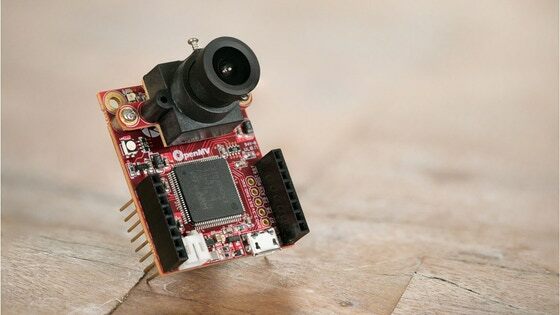 The H7 is an open-source MicroPython powered machine vision camera designed for low-power real-time applications. They still have pre-orders open and have many useful accessories including a FLIR Lepton Adapter Module. We're supplying the Leptons for those who added them and are planning to stock the H7 once it fulfills. We recently saw it in action at Arm TechCon doing thermal facial detection and can tell you that this is a killer product that won't disappoint. Big shout out to the OpenMV team!